Shalom my friends! 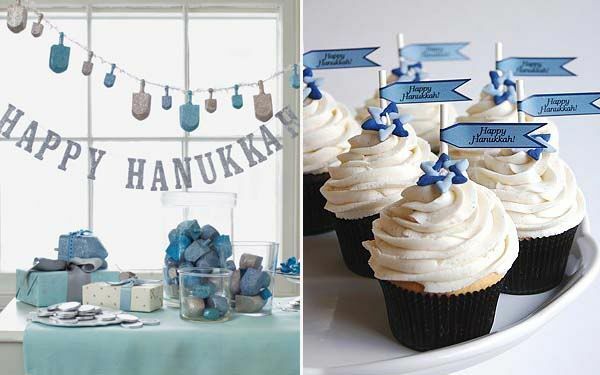 I know I’ve been Christmas crazy over here with my links, so I thought it would be fun to do a linkie round up in honor of the first magical night of Hanukkah. And awaaaay we go! 1. A Festival of Bites. 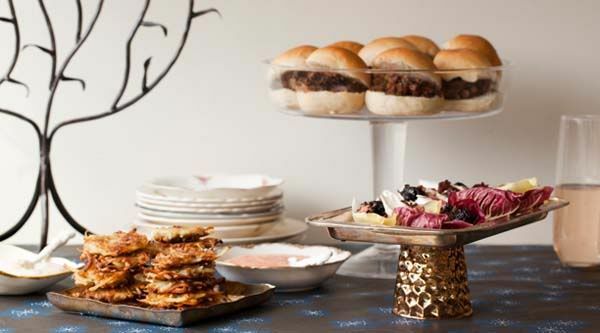 These mini brisket and lil latkes look so cute and tasty. See more here on epicurious. 2. 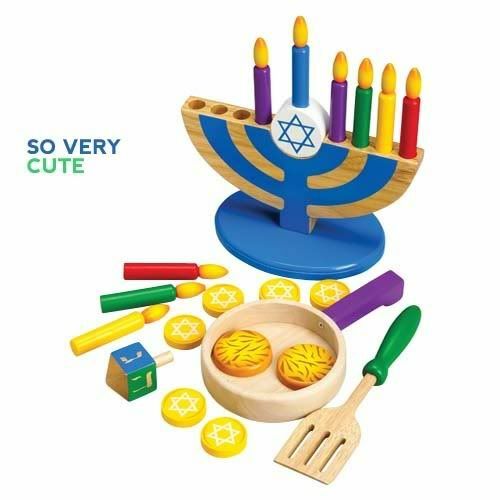 Wooden You Like a Pretend Latke? I think this set would be so cute for little ones! Find them here. 3. Hooked on Candy Canes. Why should the red and green set have all the fun? 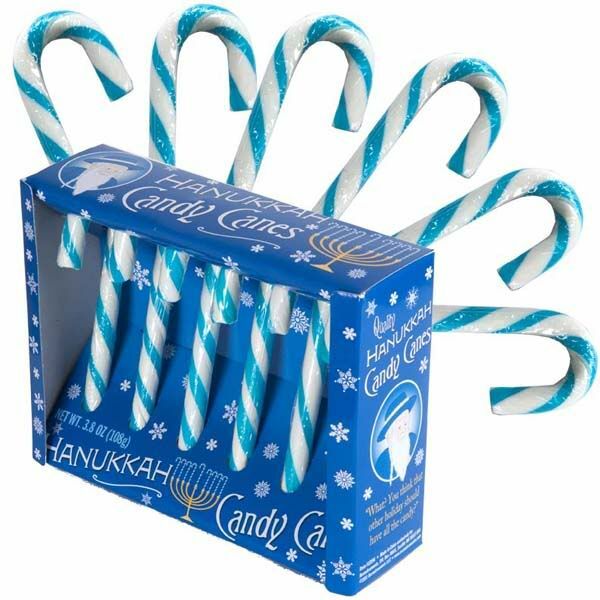 Get your Hanukkah Candy Canes here! These are so whimsical and cute. I’m particularly fond of that Dachshund menora. See more on his site. 5. 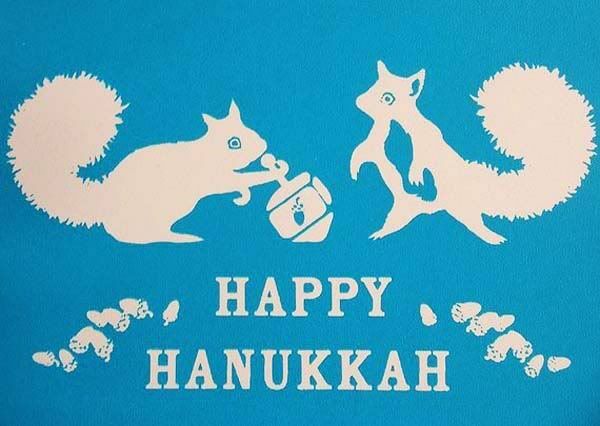 Cutest of Hanukkah Cards. 6. 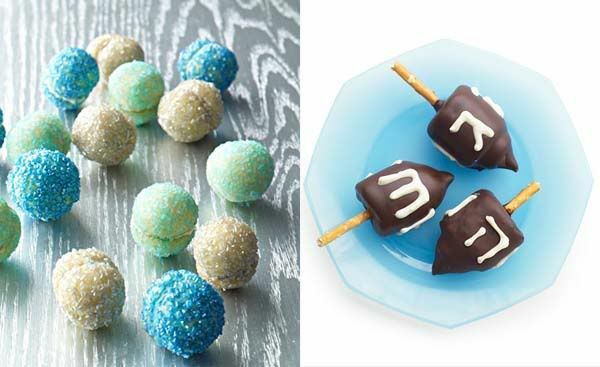 Make your Dessert the Star. 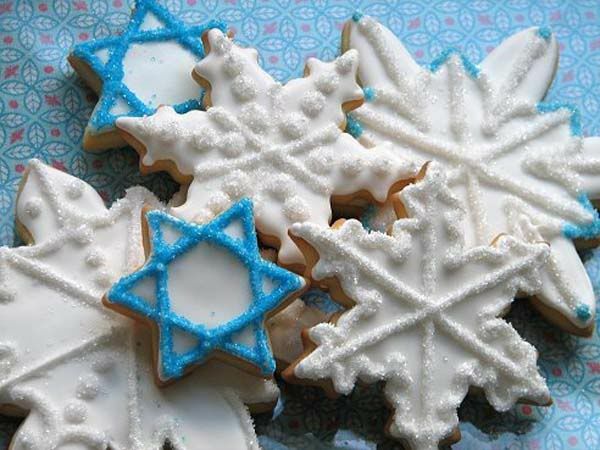 These snowy Hanukkah cookies by Whipped Bakeshop are so pretty. I love the mix of the Star and snowflakes. 7. Cupcakes are Always a Sweet Idea. 8. 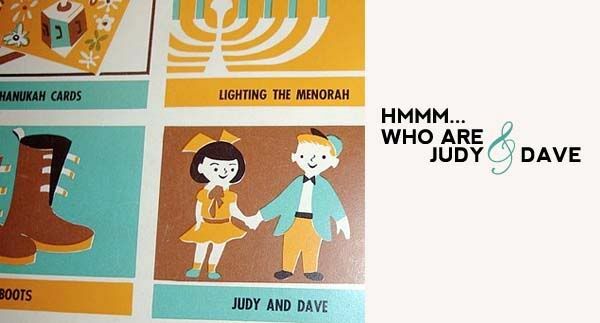 Vintage Love in a Hanukkah Funbook! 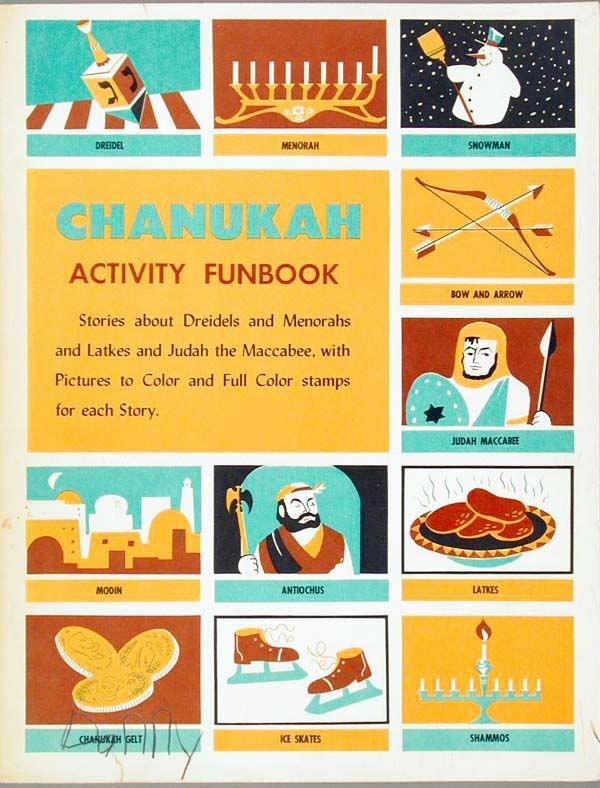 This 1954 activity book looks adorable! I bet you could track one down on ebay or Etsy! (image). 9. 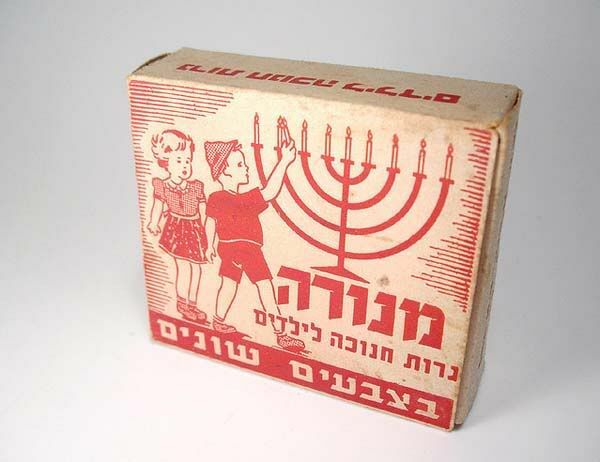 More Vintage Hanukkah Love. 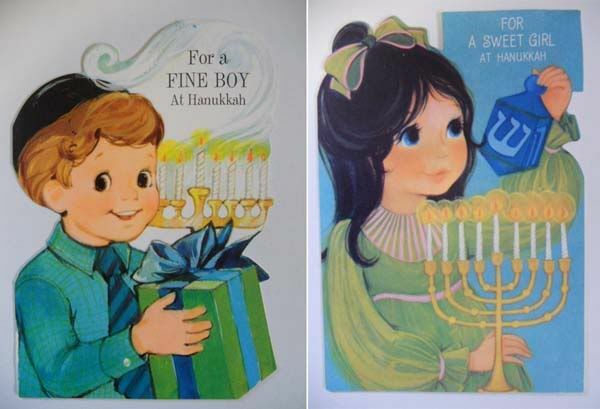 I’m obsessed with vintage Christmas things, but vintage Hanukkah goodies are every bit as charming! 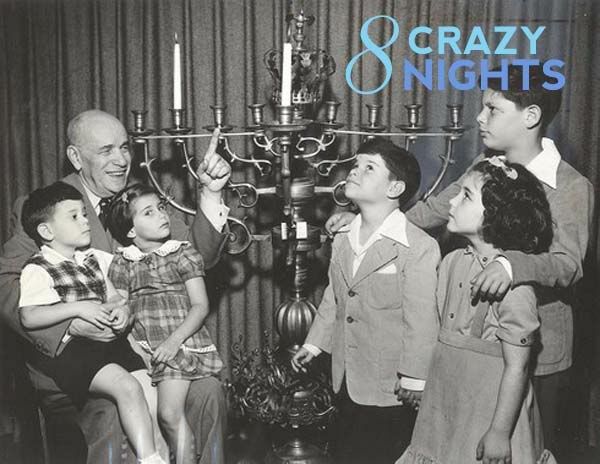 Vintage Hanukkah treasure hunters should browse Etsy or eBay. 10. Driedl! Driedl! Driedl! I Made it Out of ….Marshmallow. Rugelach, sufganiyot, cookies and cupcakes. Ooh lala! Of course Martha does is spectacularly. See more yummy ideas here. 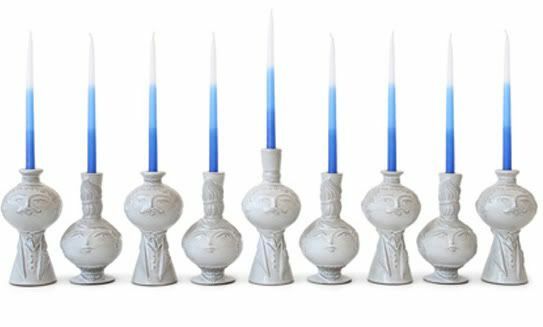 What are you going to be doing this Hanukkah? 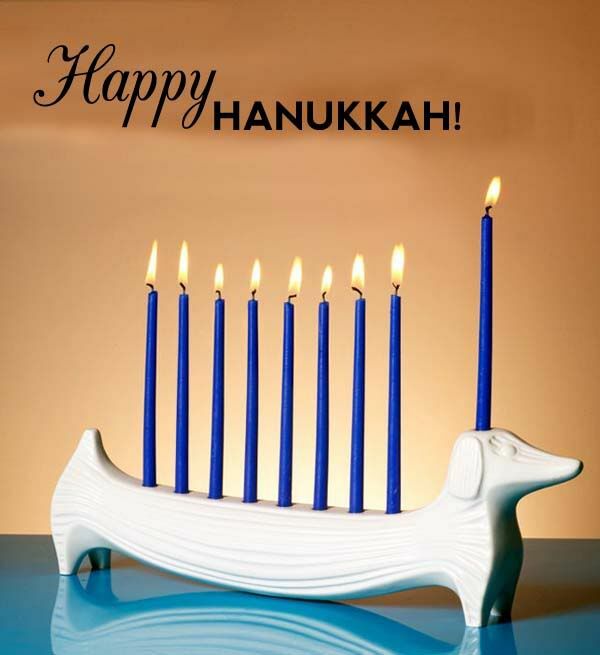 Wishing you peace, love and latkes. 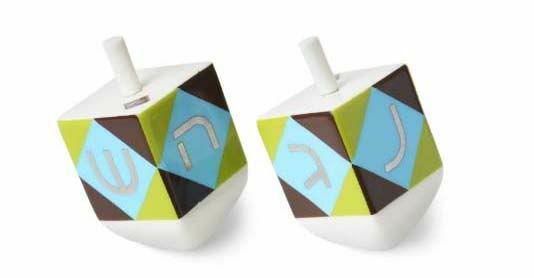 Lovely post, I like both the different takes on the menorah. 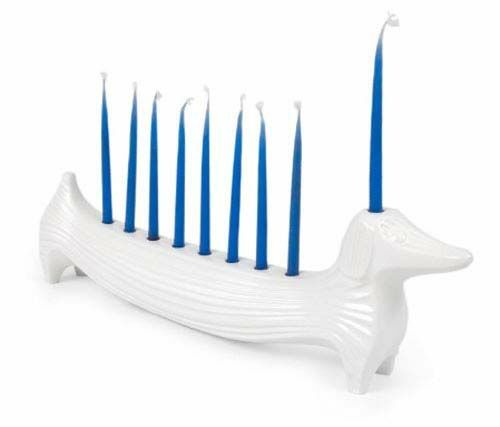 Love love love the hipster wiener dog Menorah. In fact, they are all delightful. Get it de LIGHT ful? 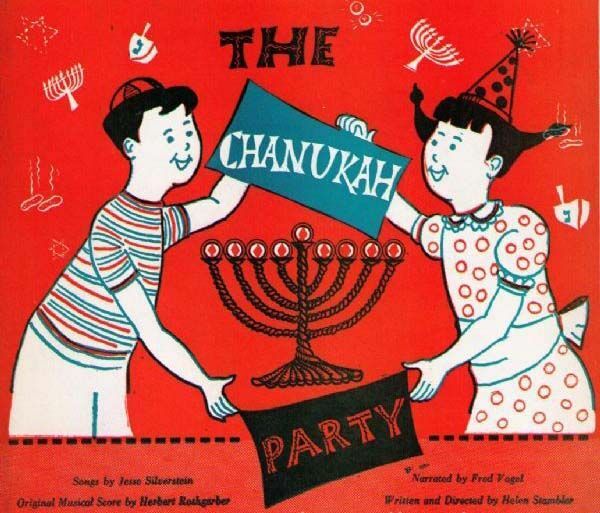 Just trying to spread some Hanukkah humor. 1st visit to your blog and I LOVE it too. 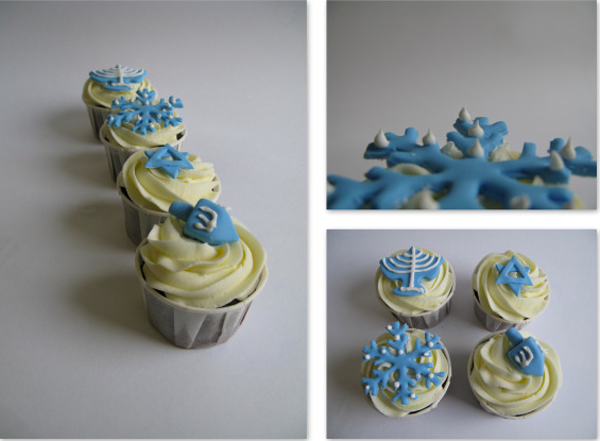 I am not Jewish but Hanukkah is so awesome !